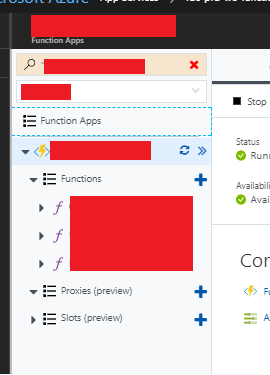 It's a good practice to secure your Azure resources. One of the approaches to achieve this is by using Resource Locks. These allow you to add Read-Only or Delete locks on your resources to prevent somebody from changing or removing it. 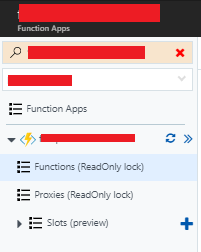 Unfortunately, I've noticed that Azure Functions doesn't really like Read-Only Resource Locks as it stopped listing my Functions. However, when you remove the read-only lock on your resource/resource group again, they're back! You can track the status of this issue on GitHub. Let's hope we can use them together again in the future!